Where gardens and children are both tended. Nothing like the present to plant new trees, shrubs and flowers. By planting in the Fall you allow the roots to take hold and become stronger getting them ready for the following Summer’s heat. Evergreens are great for a Winter garden because they do not lose their leaves. In case you are wondering, an evergreen is a plant that does not lose its leaves from one season to the next. Don’t be deterred from planting annuals or even plants that go dormant because they will do great too. One thing to remember is that even though we are going into winter and it won’t be hot plants still need water. Especially new plants. Maybe once a week or every other week. If you are getting rain or snow that works too, mother nature is taking care of it for you. Here are a few ideas for your winter garden. Pansies – I love this flower. They bring just the color you need and will survive the winter. Make your statement personal with your pattern. You can go one solid color, two colors or multicolor. Have fun with it! Cyclamen – A beautiful flower. They are safe up to about 28degrees and then need to be covered. 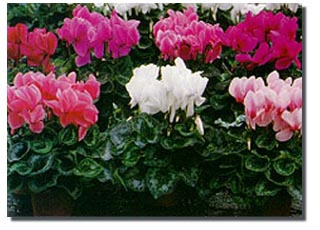 You will find Cyclamen planted in Paris in large volumes. They are a little more expensive and a little more fragile. I have used them in the past in containers on my screened in porch, but never in mass. 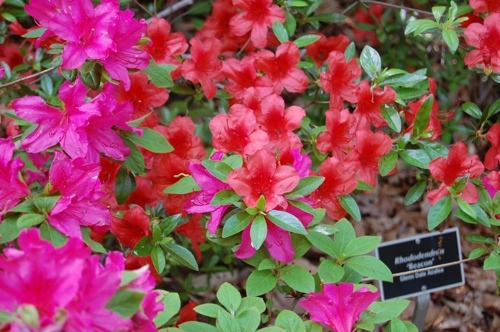 Azaleas – A great option. They are more shrub like and will be beautiful throughout the year. If fertilized properly they can bloom in multiple seasons. You will not need to plant this again each year, unless of course it dies. It’s a great time for fall vegetable planting, too. We’re about to be awash in radishes (they are fast growers and very cold hardy), and we have turnips, broccoli, Brussels sprouts, bok choy, Chinese cabbage, and more doing very nicely. We planted pinto beans after the summer temperatures broke in hopes they would flower and produce green beans, but they haven’t yet. Days are too short, I guess. The best thing to do is plant and add mulch and enjoy the cooler weather — fall is our second, and in many ways our best, growing season. Why is a lawn important?